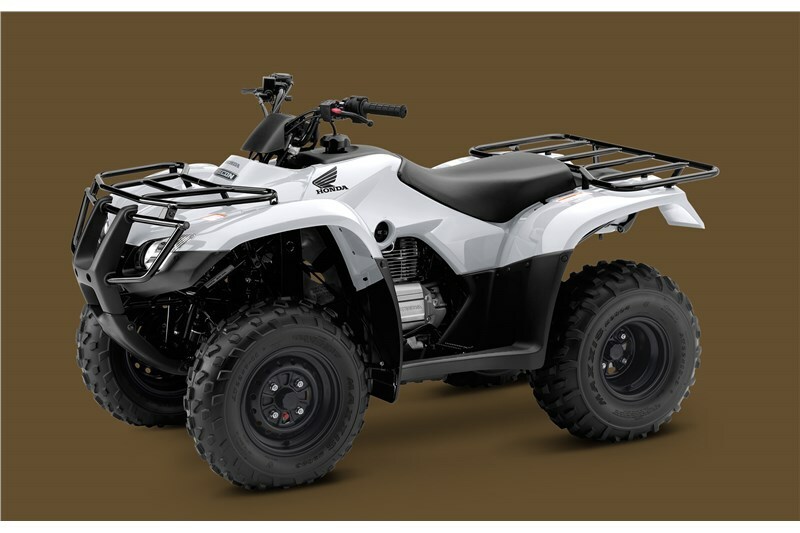 UTILITY ATVs ARE RECOMMENDED ONLY FOR RIDERS 16 YEARS OF AGE AND OLDER. ATVs CAN BE HAZARDOUS TO OPERATE. FOR YOUR SAFETY, BE RESPONSIBLE. READ THE OWNER’S MANUAL. ALWAYS WEAR A HELMET, EYE PROTECTION AND PROTECTIVE CLOTHING. BE CAREFUL ON DIFFICULT TERRAIN. ALL ATV RIDERS SHOULD TAKE A TRAINING COURSE (FREE FOR NEW BUYERS. ASK YOUR DEALER OR CALL ASI AT 800-887-2887). NEVER RIDE UNDER THE INFLUENCE OF DRUGS OR ALCOHOL, ON PAVED SURFACES, ON PUBLIC ROADS, WITH PASSENGERS, OR AT EXCESSIVE SPEEDS. NO STUNT RIDING. RESPECT THE ENVIRONMENT WHEN RIDING. No operator under age 16. Honda recommends that all ATV riders take a training course and read their owner's manual thoroughly. Mounted up on the left handlebar along with the parking brake, the Recon’s reverse lever is simple and easy to use. 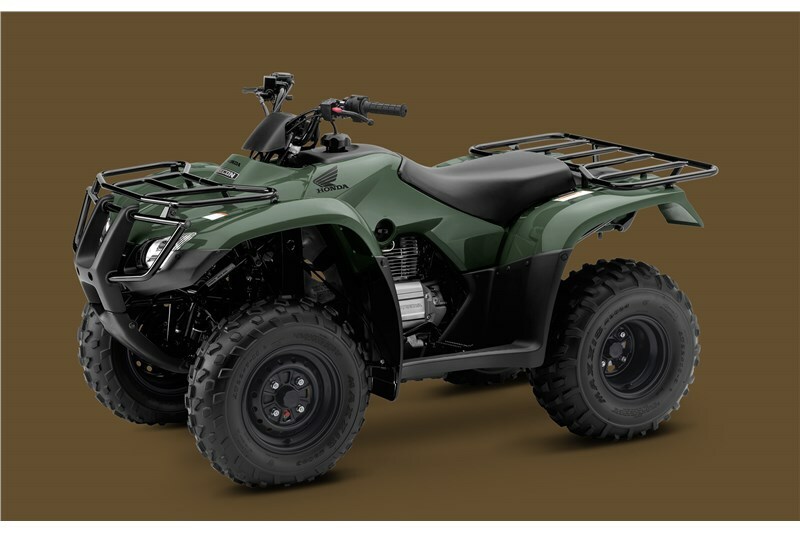 By orienting the crankshaft front to back in the chassis in our ATV and side-by-side engines, we route the flow of power straight to the wheels without any unnecessary right-angle detours, reducing powertrain friction and putting more grunt to the ground. Clean, efficient, proven, low-maintenance. Shaft drive is the perfect choice for a machine like this, and for riders who pile on the miles. You never have to worry about lubrication or adjustment out on the trail. And an added plus: it helps keep your ATV cleaner, too. Compact and lighter-weight, the Recon's semi-dry-sump and overhead valve designs create an engine that's not only shorter from top to bottom, but one that enhances handling by lowering the center of gravity while also allowing for better ground clearance. The Recon has a LED taillight and brakelight for durable, long-lasting lighting. Front and rear steel cargo racks allow payloads of 33 and 66 pounds, respectively.